Since establishing Global Spiritual Studies in 2011 I've worked with people who have expertise in all sorts of areas. My role is to help them produce their classes or products in ways which take advantage of this wonderful medium of online learning. From my perspective, the birth and growth of Global Spiritual Studies is a story about having an idea, about taking a leap of faith, about embarking on the Fool’s journey full of exciting ideas, challenges, friendships and joy at watching the seedling I planted grow and flourish. So many beautiful flowers have already bloomed – how many more are below the surface, just waiting for the right moment to burst forth? 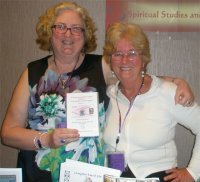 I've documented aspects of the development of Global Spiritual Studies in the Behind the Scenes blog. In this post I put myself in your shoes and ask some of the questions you might have about how I came to embark on this venture. I share some of my soul journeys to show how travel can be a valuable learning experience. My broad definition of the word 'learning' and my own education and learning journey, full of twists and turns that finally brought me here. In 2014 I had the pleasure of attending Readers Studio in New York. 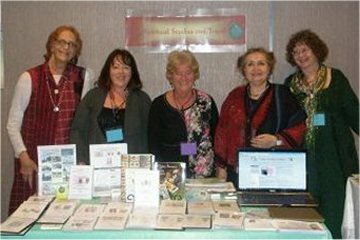 It was a great opportunity to meet people who have become regular customers of Global Spiritual Studies and to meet tarot enthusiasts from all over the world. The online environment has brought us all closer together, but, in the end, nothing beats meeting people in the real world! Kooch Daniels who runs a weekly program on LifeScape Radio was there and we decided it would be fun to have me as a guest on her show. So, a couple of weeks later, we met again in cyberspace to talk about Global Spiritual Studies and the challenge of converting face-to-face master classes and courses into engaging online experiences. I was fresh from a Gothic Image tour of Ireland, so you’ll hear a little about that as well! Click this 'Play' arrow to listen to the interview. 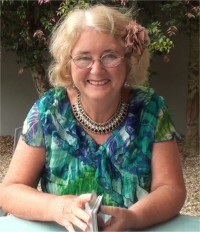 Key presenters at the Tarot Guild of Australia's International Tarot Conference in 2013 included familiar faces from some of the most popular online classes offered through Global Spiritual Studies. From left above, Rachel Pollack, Evelynne Joffe, Linda Marson, Caitlin Matthews and Mary K. Greer. Jenne Perlstein (left) wasn't around when the group photo was taken, but I made sure she didn't miss out on being in the photo gallery!